Affiliates finished the year off with a bang, and are charging into 2016, full steam ahead.Â Happy holidays to all! 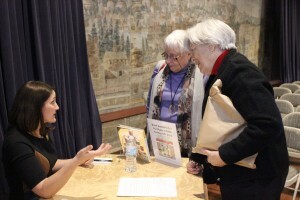 SI curator Mary Savig signs her book and talks with visitors to RIHS about artists’ handmade holiday cards. Archives of American Art curator Mary Savig gave a lecture on handmade holiday cards by 20th century artists at the Rhode Island Historical Society in Providence, 12.5. The Schiele Museum of Natural History & Lynn Planetarium opened SITESâ€™ Titanoboa: Monster Snake exhibition in Gastonia, 12.5. The Buffalo Bill Center of the West reopened its popular Journeying West: Distinctive Firearms from the Smithsonian exhibition with 50 artifacts on loan from the National Museum of American History, in Cody, 12.5. 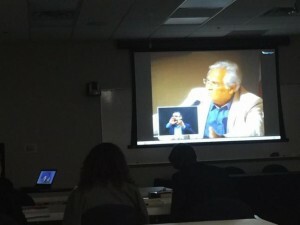 The South Dakota State Historical Society hosted a public program around the presentation of the Smithsonian Channelâ€™s Stories from the Vault: Letâ€™s Eat show, in Pierre, 12.15. Cerritos Library opens SITESâ€™ I Want the Wide American Earth: An Asian Pacific American Story exhibition in Cerritos, 1.3.16. The Agua Caliente Cultural Museum opens IndiVisible: African-Native American Lives in the Americas exhibition in Palm Springs, 1.19.16. 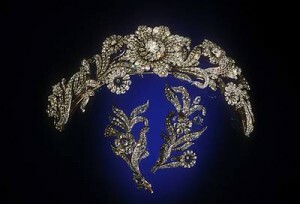 The Post Diamond Tiara with matching brooches made in the mid-19th century will soon be on view in New Mexico. The New Mexico Museum of Natural History and Science will announce their affiliation with the opening of the Post Diamond Tiara exhibition featuring the object which is on loan from the National Museum of Natural History, in Albuquerque, 1.9.16. Smithsonian Undersecretary Dr. Richard Kurin will give a public lecture on his book The Smithsonianâ€™s History of America in 101 Objects at History Colorado in Denver, 1.11.16. Affiliations director Harold Closter will announce the Smithsonianâ€™s new affiliation with the Dubuque Museum of Art in Dubuque, 1.12.16. Carlene Stephens, curator at the National Museum of American History, will present a talk on Connecting the World in Time as part of the Stars of the Smithsonian lecture series at Mystic Seaport in Mystic, 1.14.16. The Art of Video Games exhibition, organized by the Smithsonian American Art Museum, will open at the Frost Art Museum in Miami, 1.23.16. The Museo de Arte de Puerto Rico will host the traveling exhibition, Impressionism and the Caribbean featuring the self-portrait of painter PÃ­o Casimiro Bacener on loan from the Smithsonian American Art Museum, in San Juan, 1.29.16. This October the Denver Art Museum opened Super Indian: Fritz Scholder, 1967-1980 which explores how Fritz Scholder used color and composition to create the powerful and innovative works of his Indian series. The exhibition features more than 40 monumental paintings and lithographs, including works loaned from Smithsonian Institution and Affiliate museums. With the support of these institutions the Denver Art Museum was able to realize an exhibition that fully engages with Scholderâ€™s work from the period of 1967 to 1980; highlighting major themes and artistic approaches within the series. Fritz Scholder, “Indian and Rhinoceros,” 1968, Oil paint on canvas, 68 Ã— 120 in. Collection of the National Museum of the American Indian, Smithsonian Institution, 268066.000 Photographer: Walter Larrimore, NMAI, Â© Estate of Fritz Scholder. From the National Museum of the American Indian comes two works that draw attention to Scholderâ€™s Pop art sensibilities with their bright color, scale, and use of popular, everyday imagery. 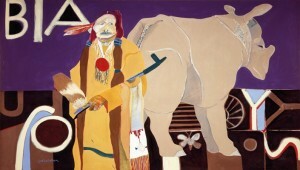 These paintings, Indian and Rhinoceros (1968) and Walking to the Next Bar (1974), also exhibit his interest in social issues such as the conflicted relationship between American Indians and the Federal government and alcoholism respectively. Also on view is Indian in Contemporary Chair (1970) from the Smithsonian American Art Museum. With the figureâ€™s gritty, expressionistic rendering, its inclusion contributes to the interpretation of English artist Francis Baconâ€™s influence on Scholderâ€™s style and composition. Furthermore, the contrast of an Indian subject within a contemporary setting serves to challenge viewersâ€™ assumptions of the place of American Indians in the present day, another theme that runs throughout the exhibition. Fritz Scholder, “Indian at a Gallup Bus Depot,” 1969, Oil paint on canvas, 40 Ã— 30 in. Booth Western Art Museum permanent collection, Cartersville, GA, 2013.011.001. Photo courtesy Louis Tonsmeire, Jr., Â© Estate of Fritz Scholder. In addition to the fourteen works from the Denver Art Museum, works from two other Smithsonian Affiliates are also featured in the exhibition. 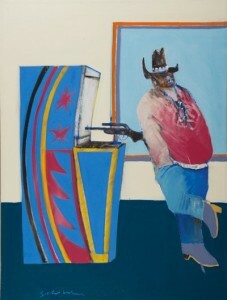 From the Booth Western Art Museum is Indian at a Gallup Bus Depot (1969) depicting what Scholder called an â€œIndian cowboyâ€ in front of an arcade machine, highlighting Scholderâ€™s Pop art sensibility as well as the influence of his teacher Wayne Thiebaud. And, from the Heard Museum comes Indian Dying in Nebraska (1972) adding to the exhibitions exploration of dark and mysterious subjects. With generous institutional support such as this, visitors to the exhibition are better able to explore the rich work of Fritz Scholder. The exhibition continues at the Denver Art Museum until January 17, 2016. It will then travel to the Phoenix Art Museum February 16, 2016 to June 5, 2016 and the Nerman Museum of Contemporary Art in Overland Park, KS June 23, 2016 to September 18, 2016. 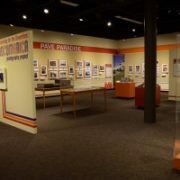 The Smithsonian Institution Traveling Exhibition Service (SITES) works closely with many Smithsonian Affiliates to bring diverse exhibitions to local communities. Â Many Affiliates complement exhibitions by hosting speakers or creating innovative programming to engage their communities and serve their missions. Â Two new exhibitions, Roots of Wisdom: Native Knowledge. Shared Science. and Things Come Apart- explore the fascinating world of art and science. Â Find out how to bring them to your neighborhood! 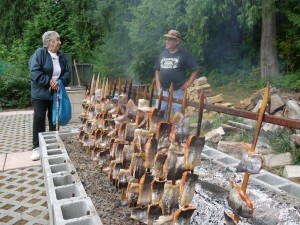 Cooking salmon traditionally on iron wood sticks over wood coals. This brand new exhibition from the Smithsonian and The Oregon Museum of Science and Industry raises the question: How do Native communities handle the environmental challenges that threaten their way of life? Roots of Wisdom focuses on four examples of successful restoration efforts in Native communities. For example, when modern construction, farming, and dams blocked streams important to Pacific Northwest tribes, the salmon â€“ a sacred food â€“ had trouble making it upstream to tribal lands. The tribes combined the ecological knowledge inherited from their ancestors with their own scientific studies and worked alongside government agencies and neighbors to address the problem. Today, the salmon are returning to the streams. What environmental challenges face your community? Roots of Wisdom gives host venues an opportunity to customize three additional banners to highlight local content. Complementary educational resources include clever online games, demonstration guides, classroom activities, and more to reinforce exhibition themes. Perfect for those Affiliates interested in Native American topics or natural history and environmental sciences, the exhibition was created in collaboration with the featured Native communities and is supported by a National Science Foundation grant. Learn more here. Did you know that there are over 216 components that make up a common power drill? 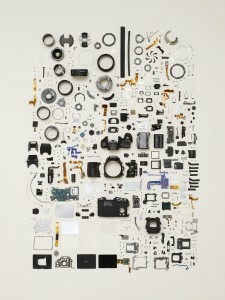 Through extraordinary photographs by Canadian photographer Todd McClellan, disassembled objects and fascinating videos, Things Come Apart reveals the inner workings of common, everyday possessions. The exhibition embraces key STEAM concepts and includes hands-on educational activities and supplies, aligned with Next Generation Science Standards. Learn more here. Installation from Upcountry History Museum, Furman University, Greenville, South Carolina. 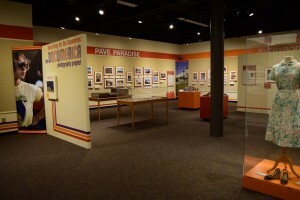 Not only did the Museum launch the national tour of Searching for the Seventies, they used the exhibition to celebrate their new Smithsonian Affiliation. Photo courtesy of the Museum. 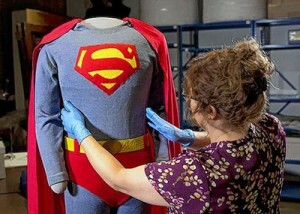 Lesley Poling, registrar of collections for the Ohio History Connection, fine-tunes the Superman costume worn by George Reeves. It will be on display through Jan. 3 at the Ohio History Center. It’s a bird, it’s a plane, it’s Superman — his suit, anyway — and it’s headed to Columbus. George Reeves’ iconic red, blue and yellow outfit goes on display Saturday at the Ohio History Center, part of the museum’s ongoing exhibit on the 1950s. The super suit was worn by Reeves, an Iowa native, during the TV series “Adventures of Superman,” which aired nationally from 1952 to 1958. The suit has been at the Smithsonian’s National Museum of American History for the past 30 years, but hasn’t been on display since 2006. Its appearance in Columbus is the costume’s first public showing in nearly a decade. On loan from the Smithsonian Institution, based in Washington, D.C., it is part of the facilityâ€™s “1950s: Building the American Dream” exhibit. Traditional Native wood carving is coming back to the Anchorage Museum. Three master carvers â€” John Hudson (Tsimshian), Norman Jackson (Tlingit) and Donald Varnell (Haida) â€“ are taking part in a week-long residency at the Smithsonian Arctic Studies Centerâ€¦.â€œOrganizing this project is about teaching and education and sharing, maybe some arts that arenâ€™t very well known with the broader public and with young people who are really interested in learning,â€ said Aron Crowell, Alaska director for the Smithsonian Arctic Studies Center. 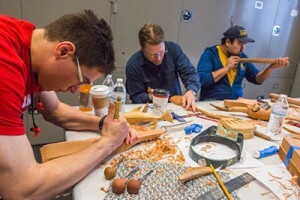 UAA students work on cedar whistles at the Anchorage Museum’s Smithsonian Arctic Studies Center. The Smithsonianâ€™s artist residency program is focused on â€œmaterial traditions,â€ with cedar being this particular programâ€™s focus. Not only do master craftsmen get to pass on their skills, but museum conservators use the knowledge to better enable them to care for the artifacts in their custody. Kevin Gover, a Pawnee and director of the Smithsonianâ€™s National Museum of the American Indian, said the Smithsonian can do what it does only because of its partnerships with smaller museums, such as the Cultural Heritage Center. The Smithsonian has a collection of about 800,000 American Indian items, and only 1 percent of these are on display in its two locations at any given moment. And this weekend that sculpture returns to South Dakota, where for the next two years, visitors to the South Dakota Cultural Heritage Center will have the chance to compare it to two other horse effigies known to have been made by No Two Horns. One is on loan from the Smithsonian Institutionâ€™s National Museum of the American Indian. Beginning in October, the society is launching its new membership program which features the addition of Smithsonian Affiliate Member benefits for all new or renewing members at the Heritage Circle level. 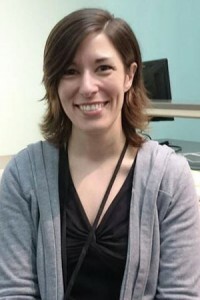 Arielle Parsons is eMammal Project Coordinator for the North Carolina Museum of Natural Sciences. Rather than stay up all night stalking wildlife, you can use camera traps â€“ motion-triggered cameras â€“ to record animals that live in a particular area. Biologists in the Biodiversity Lab at the N.C. Museum of Natural Sciences are using these cameras to document what species occur along urban-to-rural areas around Raleigh and Charlotte. 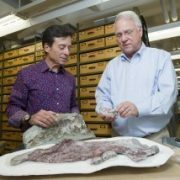 This project, called eMammal, is a partnership between the museum and the Smithsonian Institution. 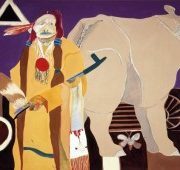 In 2008, the National Museum of the American Indian mounted a retrospective of the work of the 20th-century Figurative artist Fritz Scholder. It titled the show â€œIndian/Not Indian,â€ referring to the identity question at the heart of Scholderâ€™s work. Scholder, who died in 2005, was a quarter LuiseÃ±o, a registered member of the tribe, with a father who worked at the Bureau of Indian Affairs. But at points in his career Scholder denied the significance of that Native American heritage. Google Expeditions Pioneer Program Launched For Students To Take Virtual Trips; What Could This Mean For The Future? 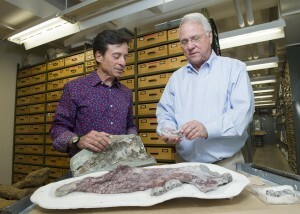 Paleontologists Louis Jacobs, SMU, and Anthony Fiorillo, Perot Museum, have identified a new species of marine mammal from bones recovered from the Aleutian island Unalaska in the North Pacific. 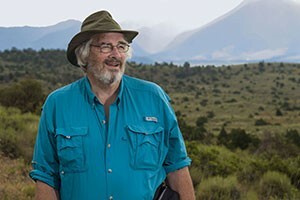 But under the new moniker of St. Augustine Lighthouse & Maritime Museum, the Smithsonian Affiliate organization aims to enhance its reputation in the field of maritime history and research as well. Annmarie Sculpture Garden & Arts Center (Solomons, MD) received a $15,000 grant from the Dominion Foundation, in support of the Childrenâ€™s Discovery Garden & Nature Trail. The Childrenâ€™s Garden will be natural play space and outdoor classroom where young guests will explore the ecology of the Chesapeake Bay with a particular focus on strategies to protect the Critical Area. Through an approximately $7,000 Wisconsin Humanities Council grant, the Wisconsin Maritime Museum (Manitowoc, WI) created a Facing the River program. Facing the River features activities to teach kids about river history and ecology, including a now-and-then photo comparison, songs and storytelling from childrens performer David H.B. Drake, a travel brochure art project and samplings of local food. Through a generous $1.13 million grant over three years from Dell, the Perot Museum of Nature and Science (Dallas, TX) has created a mobile innovation truck that will bring science, technology, engineering, art and math (STEAM) learning to a broader and more diverse audience in the Dallas/Fort Worth region and beyond. The Perot Museum TECH Truck, powered by Dell, will provide more opportunities for the community to engage in museum experiences through free, out-of-school educational and interactive programs, including drop-in sessions and workshops, using no- and low-tech activities as well as high-tech experiences. The program is designed to reach people who â€“ for a variety of reasons â€“ do not or cannot engage with the Museum at its physical location. 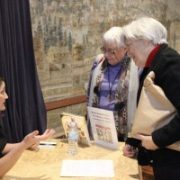 After spending six weeks on the New York Times Best Seller list in 2015, Laura Ingalls Wilderâ€™s â€œPioneer Girl: The Annotated Autobiographyâ€ has been chosen by the members of the Midwest Independent Booksellers Association (MIBA) as a Midwest Booksellers Choice Award recipient for nonfiction. The South Dakota State Historical Society published Wilderâ€™s account of her familyâ€™s pioneering experience last November. 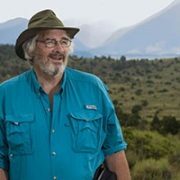 The South Dakota State Historical Societyâ€™s museum director, Jay Smith, received the Presidentâ€™s Award for his service to the Mountain Plains Museums Association (MPMA). The Presidentâ€™s Award is a public recognition of those people, institutions or businesses that have contributed significantly in any capacity to the continued growth and success of the MPMA. Framingham State University has been recognized for its efforts to support diversity and inclusion on campus with a Higher Education Excellence in Diversity (HEED) Award. The award is given by INSIGHT into Diversity, the oldest and largest diversity magazine and website in higher education today.